These VB 36" VeeBoards are hard at work keeping these drums in place, perfect for this operation!!! Although I feel the 2Go's are a bit small for the foam industry, try telling these guys, they love them for their foam deliveries out of Hunter Panels!! 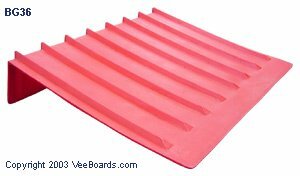 Back to the VeeBoard® Catalog!